This article applies only to the CDMA/LTE version of the Samsung Galaxy Tab (not Wi-Fi only). 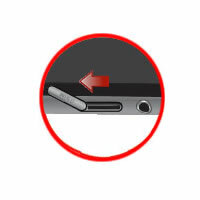 A quick method to identify the device version is the location of the volume buttons. 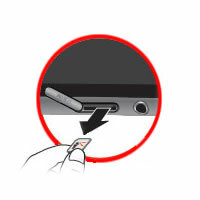 Open the SIM card door/cover (located on the top edge). Presiona y luego quita la tarjeta SIM. Cierra la tapa/cubierta de la tarjeta SIM.